When you become a small business owner, you acquire a responsibility for making tax payments that you didn’t have as an employee. Although you probably didn’t realize it, your employer was transmitting those taxes withheld from your paycheck to the government. The company was also matching your Medicare and Social Security taxes and filing information returns with the IRS. In this section, we’ll explain what tax requirements you’ll become responsible for as a small business owner. If your earnings for the year before you opened your business are less than or similar to what you expect to earn your first year in business, paying 100% of your previous year’s tax amount for your current year’s estimated tax payments is the way to go. This is the simplest method. However, if you think your earnings as an employee were substantially higher than your projected first year of small business earnings, it will probably be an unnecessary burden for you to pay 100% of your previous year’s tax liability and it will result in you making a large, interest-free loan to Uncle Sam that won’t be returned until sometime after April 15 of the following year. If this situation applies to you, there’s another method to calculate your estimated tax payments. You’ll need to pay at least 90% of how much you’ll end up owing for the current year. But how do you predict what you’ll earn for the year when you’ve never been in business before? It’s difficult, and the IRS doesn’t expect you to do it. The Estimated Tax Worksheet on page 5 of IRS form 1040 ES, Estimated Tax for Individuals, provides a formula for calculating how much tax liability you’re likely to incur for the year based on your quarterly income. Each quarter, you’ll need to run through this worksheet to calculate how much to send in. If you’re good at doing your own taxes, you can complete this form yourself, either by hand or with tax software. If not, hand the work off to your accountant. One problem with the federal due dates is that you may have a higher tax burden in January, when four months have elapsed since your last quarterly payment. The other problem is this: say it’s April 15, 2018. You’ve just completed your 2017 federal tax return and it turns out you owe the government money. On top of that, you must make a quarterly tax payment for 2018 in the same month. It’s easy to end up sending a huge sum to the government in April when you’re self-employed. Calculate what you’ll owe as far in advance as possible and keep a large cushion in your business bank account in case the bill is higher than you expected. If your state has an income tax, you’ll need to follow a similar procedure to make estimated tax payments to your state. Be aware that state deadlines don’t always coincide with federal ones. There isn’t really a separate tax on the self-employed, as you may have heard. Self-employment tax refers to Medicare and Social Security payments. As an employee, 6.2% of your paycheck is withheld for Social Security and 1.45% is withheld for Medicare. You may also owe an additional 0.9% Medicare tax on wages in excess of $200,000 (there’s no employer match for this tax). If you earn more than $127,200 in 2017 ($128,700 in 2018), you don’t have to pay Social Security taxes on income above that cap. Why do you only pay Social Security and Medicare taxes on 92.35% of your net earnings and not 100%? Because the employer portion of these taxes, which totals 7.65%, is considered a tax deductible business expense. The IRS has already figured this business expense into the self-employment tax formula by having you pay the tax on 92.35% of your net earnings (100% minus 7.65%); you do need to (and you should not) claim the deduction on Schedule C with your other business expenses. Self-employment tax is not paid quarterly but is submitted as a lump sum with your annual tax return using IRS Schedule SE, Self-Employment Tax. The need to pay self-employment tax in April is yet another reason why it’s important to keep a large cushion in your small business’s bank account. It is easy to be caught off guard by just how much you will owe in taxes, assuming you turn a profit. Let’s say your marginal tax rate is 25%, meaning that any income you earn above the income limit set by the IRS ($37,950 in 2017 if your filing status is single; $75,900 if married filing jointly) is taxed at 25% (until you reach the next tax bracket). If you purchase a computer for business use that costs $1,000, the tax deduction will make its actual cost to you only $750. It’s important not to get carried away with purchasing things for your business just because they’re tax deductible. You’ll still be paying for the bulk of the expense out of your own pocket. Tax deductions absolutely do not make your business purchases free. But for those things that you really do need for your business, the tax deduction helps offset the expense. If you hire even one employee for your small business, or if you structure your business as a C corporation (which makes you an employee), your tax situation becomes much more complicated. You’ll have to withhold federal and state income taxes and FICA (Social Security and Medicare) taxes on behalf of each employee. You’ll also have to pay the matching portion of Social Security and Medicare for each employee, and you’ll have to fill out additional paperwork and possibly make more frequent tax payments using IRS form 941, Employer’s Quarterly Federal Tax Return, as well as the equivalent state form. If your tax liability is high enough, you will have to make payments monthly or semiweekly instead of quarterly. The details of this system are beyond the scope of this tutorial; see IRS Publication 15 (Circular E), Employer’s Tax Guide, for more details. If you have employees, you may also be required to pay into your states unemployment insurance fund, and your state may require you to pay into a worker’s compensation fund, too. If you don’t want to be dependent on an accountant or have to pay their bills forever, you can transition to doing your own taxes by taking some tax preparation classes and/or seeking instruction from your accountant. Finally, even if you hire an accountant, you’ll still need to keep meticulous records. Accountants can’t do that for you. In the next section, we’ll discuss creating and maintaining business records. 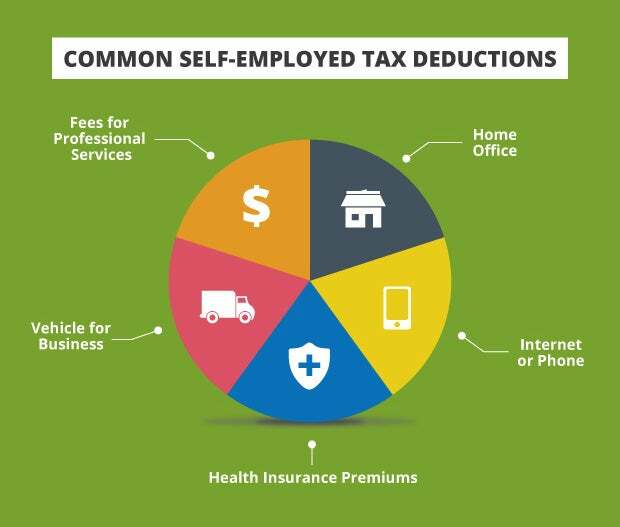 As someone who is self-employed, you still have to pay into Social Security; however, there are deductions that can help lighten the tax burden. Find out what information you need to pull together before filling out your return. If you're retired and making extra cash, whether from a business or selling unneeded items, you need tax strategies for this “other” retirement income. When you're budgeting for post-military life, certain state tax issues need to be considered. Hiring household workers can be a complicated process. Know what the government requires so you can prevent penalties and problems down the road. As the tax season begins, there are certain words you need to know. Read on to see what they are.